All the video players listed in this article offer nice features and good experience. You will never miss your old video player again if you use any of these. VLC is not just a popular video player on the desktop, but it is also equally popular on mobile devices. The VLC media player also comes for Android to give you good video viewing experience. It supports almost any kind of video format including H.265 encoded videos. It also has different gesture-based control to give you easy options for performing different actions including a change in brightness, change in volume and seek the video. It also supports picture-in-picture mode that was not available in MX Player. This video player can also play videos in the background. So, you can do other tasks if you just want to listen to the audio. The best thing is that the app comes for free and does not show any kind of ads. KMPlayer is another nice MX Player alternative for Android devices. You can easily replace your MX Player with this without affecting your experience. It has almost all the features that you could use in MX Player. KMPlayer can also run almost all the video files including H.265 encoded MKV files. It also supports Hardware Acceleration, that was the most advertised feature of MX Player. You also get different gesture controls, picture-in-picture mode and lot more. The only wrong with this KMPlayer is that it shows ads on the free version of the app. 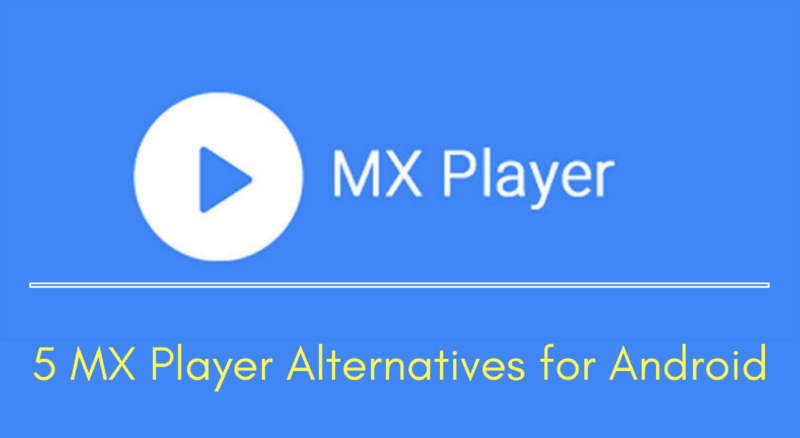 BSPlayer also offers those features that you could enjoy in MX Player. This video player also comes with all basic features you expect from a video player along with support to gestures. Like other video players on this list, this app also supports picture-in-picture mode. So, you can easily launch video in a floating window. So, you can keep doing other tasks along with watching videos. It also supports hardware acceleration. There are many other options in preferences to make this video worth to try. BSPlayer is also ad-supported but free video player for Android. Archos Video Player is also a nice video player app to try in Android devices. This is also a feature rich video player that offers many useful features. It also supports Multi-audio track and multi-subtitles. It offers hardware accelerated video decoding and supports for a wide range of video formats. The video player also offers Night Mode to dynamically adjust the audio level and audio boost for videos with the poor level of audio. Like other video players on the list, it also supports picture-in-picture mode to improve your multi-tasking. The app is available for free with limited features and shows you add. You can also make an in-app purchase to get the full version. Kodi player is available on almost all platforms including Android. This video player is not as simple as feature rich as other players in the list, but you can still try it. This comes with lots of features and supports for photos, videos, and music. You can also install different plugins to unlock more features. This app supports no gesture control but offers features like the change in pixel ratio, zoom, and post-processing. You can also add bookmarks to videos. The video player is open source and freely available. It is also worth to note that all plugins available for this video player are third-party.